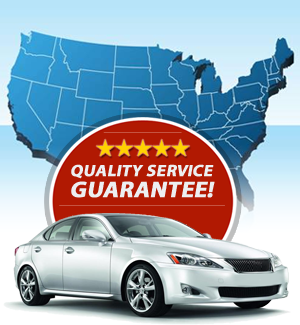 We offer service from Honolulu, Hilo, Kahului, Kona and Nawiliwili - at the guaranteed lowest rates. There are two options available when shipping an automobile from Hawaii to the mainland: port-to-port service and nationwide service. With port to port service, your vehicle will be transported from your port of choice in Hawaii to your port of choice on the mainland. With nationwide service, your vehicle will be transported from your port of choice in Hawaii and will be delivered directly to your residence or business - anywhere nationwide. For your convenience, you can book your shipment securely online 24 hours a day. If you would prefer to book your shipment with a shipping coordinator, please call (808) 445-6695 during normal business hours (7:00AM - 5:00PM PST). How long will it take to ship my car to the mainland? Can I have anything inside my vehicle when shipping from Hawaii? Your vehicle must be clean and empty. Exceptions are made for child seats, jumper cables, and in some cases automobile parts. What else do you ship from Hawaii other than vehicles? We specialize in shipping many other types of cargo from Hawaii aside from passenger automobiles. We can safely ship motorcycles, boats, RVs, Heavy equipment & any other oversized shipment to the islands. If you would like to speak with a shipping coordinator regarding your transport from hawaii, please call (808) 445-6695.